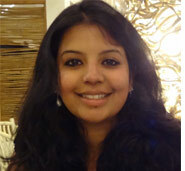 Shruti Pandalai is an Associate Fellow at the Institute for Defence Studies and Analyses, primarily working on issues closely related to India’s national security and foreign policy. Attached with the Centre for Military Affairs, she has worked on projects requiring research and recommendations for the National Security Council Secretariat, Ministry of External Affairs and Ministry of Home Affairs. India’s strategic thought and practice, its military history - the wars of 1962 and 1965 and their impact on contemporary foreign policy, emerging challenges to national security and forecasting and scenario projection are some of the themes she has worked on at IDSA. She has also published widely on the subject of Media and National Security, looking at the larger issues of strategic communication in diplomacy and conflict resolution in India. Previously, Shruti was a broadcast journalist, a News Anchor and Senior Correspondent with a leading national English news network specialising in international affairs. She contributes columns/op-eds/blogs to leading national and international publications on matters of national security, foreign policy and on the media.She has most recently been honoured with the IDSA President's Award 2015 for her research paper on India's 1965 War with Pakistan and how it shaped the geopolitics of South Asia.She is part of many emerging leaders fora including the New America Foundation's South Asia 2020 initiative, the Global Young Leaders Programme "The Asian Forum of Global Governance 2017” organised jointly by the ZEIT-StiftungEbelin und GerdBucerius, Germany and the Observer Research Foundation, New Delhi, and was also among the first batch of Raisina Young Fellows participating in the MEA-ORF annual Raisina Dialogue 2017. She is an alumna of St Xavier's College Calcutta, The Asian College of Journalism, Chennai, and The Centre for International Studies and Diplomacy, SOAS, University of London. Doklam brought into perspective the fractured relationship between India and China on the global stage and increased fears of China’s growing unilateralism as it inexorably broadens its interests and sphere of influence, especially in South Asia. OSD Outreach and Research Analyst, IDSA, Ms Shruti Pandalai's op-ed on the threat of Islamic States’ social media propaganda campaign in India, titled ‘ISIS in India: The Writing on the (Facebook) Wall’ was published in ‘The Diplomat’ on May 6, 2016. OSD Outreach and Research Analyst, IDSA, Ms Shruti Pandalai’s Oped on Lal Bahadur Shastri, titled ‘When India found a leader, but lost a statesman’ was published in The Hindu on September 26, 2015. ‘Stalemate’, ‘futile’, ‘forgotten’—the descriptions of the 1965 War between India and Pakistan often do injustice to its profound Impact on the history of the Indian subcontinent. It was a war that altered the fates of India and Pakistan both politically and militarily, and officially began the new great game for Asia. For India, it was a test of leadership post Nehru and banishing the demons of 1962. For Pakistan, it was about Kashmir and testing India, playing roulette with the superpowers, and sealing its friendship with China. In the larger scheme of things, fiscal prudence is a good trait and the reduction in deficits desirable, yet an overtly ambitious approach of reducing deficits into a number game may lead to developments that may hurt us not only in the security arena but in economic growth as well.